Unlike here in the West, in Japan, all the components of a meal are often eaten at the same time. Perhaps, it is this understanding that has made our soups, salads, and sides so delicious and entree-level good. 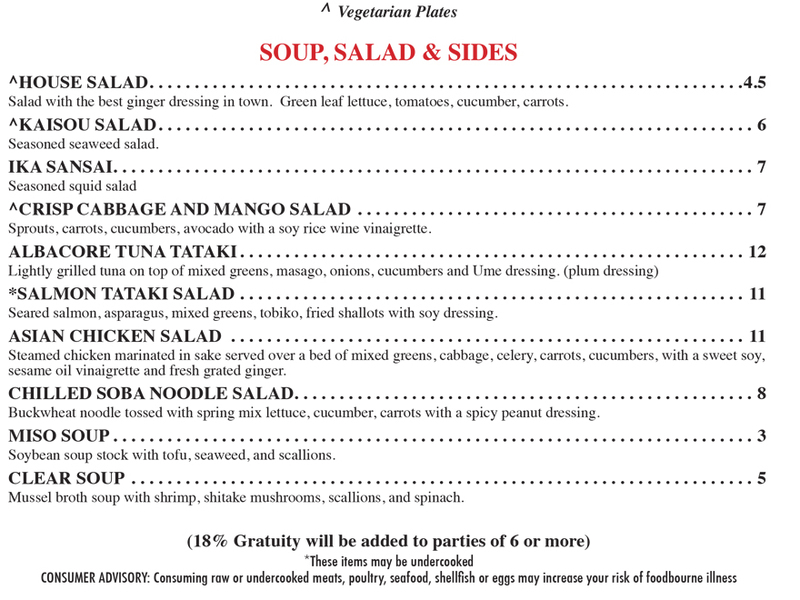 At Nikko Japanese Restaurant & Sushi Bar, our soup, salad, and sides menu includes traditional favorites like house salads with some of the best ginger dressing around, as wells as tasty clear soup and miso soup. And what Japanese menu would be complete without ika sansai or tuna tataki. Next time you visit Nikko Japanese Restaurant don’t forget to compliment the best sushi in Charlotte with some delicious and authentic soups, salads, and sides.